Most of us have probably heard the saying “Failure is life’s greatest teacher” at one point in our life, but few of us have taken this time-honoured maxim to heart more than Dr. Jonathan Kimmelman. In fact, you might even say that his life’s work depends on it. Dr. Kimmelman, the lead investigator on a new project that is exploring failure rates in Canadian cancer research, is studying the complex decision-making process that researchers make on their path to developing new cancer drugs—and, more importantly, trying to deduce why they end up failing 95% of the time. It’s a big question—a billion-dollar big one—that few researchers have bothered to seriously investigate. Consider the fact that in 2015 more than US$107 billion was spent globally on cancer medicines and, yet, for years the success rate for bringing new and innovative cancer drugs to market has been one of the lowest in any area of research. This is the kind of information that would dishearten the nearly 200,000 Canadians diagnosed with cancer every year, says Louise Binder. “We have this mythology that the system is working for us, but it’s not,” says Binder, a Health Policy Consultant with the Canadian Cancer Survivor Network, a cancer survivor, and someone who has been living with HIV for the past 22 years. “After all the billions of dollars spent on cancer research, what do we have to show for it? Not anywhere near enough. While Dr. Kimmelman is quick to stress that failure is a part of all research, he acknowledges that his “decision sciences”-based line of inquiry was a long time coming. He blames the delay on a number of factors, from the sheer amount of time it takes, to the difficulty in accessing research information (the results of many clinical trials are not published), and the tremendous effort it takes recruiting cancer experts to the cause. His project, titled “Improving the Quality of Judgement in Cancer Therapeutics Development,” is funded through BioCanRx’s Clinical, Social and Economic Impact Program. Currently in its first year of a three-year funding agreement, the project is selecting a sample of trials that will serve as the subject of their research. 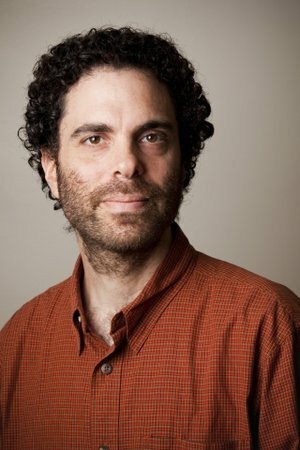 The next stage will see Dr. Kimmelman and his co-investigators in Ottawa and Alberta interview more than three dozen people—from researchers and students, to funders and stakeholders—about biases and other factors that inform their judgment to move novel therapeutics into clinical trials. The process will continue over the next two years, during which they will provide the interview subjects with feedback on the risk-benefit decisions that they’re making and calculate how they contribute to low success rates. In essence, the project is concerned with helping scientists do science better and giving them tools to do that. Brad Mackay is an Ottawa writer and award-winning journalist who has worked at the National Post and CBC.ca and has been published in The Globe and Mail, The Toronto Star, The Ottawa Citizen, the Canadian Medical Association Journal, CBC Arts Online, Toronto Life, Quill & Quire, enRoute, University Affairs magazine, and Canada’s History magazine.